The entire Dhamma is contained in sīla, samādhi, and paññā. The whole meaning of Dhamma is contained in them. The purity of Dhamma is contained in them. Following sīla means living a life of good conduct and to live a life of good conduct, we have to practice samādhi, we have to practice mastery over the mind. And not only this, we have to eradicate all the defilements accumulated in the depths of the mind so that good conduct becomes a part of our lives naturally, effortlessly. One should purify the mind, one should develop insight that will eradicate all the defilements from the mind. Leading a life of good conduct, gaining mastery over the mind, and purifying the mind totally is not a Dhamma belonging exclusively to any particular country, religion, community, class or caste. It is everyone’s Dhamma. Dhamma is universal. This is the true nature of Dhamma. This is the greatest common factor of Dhamma. 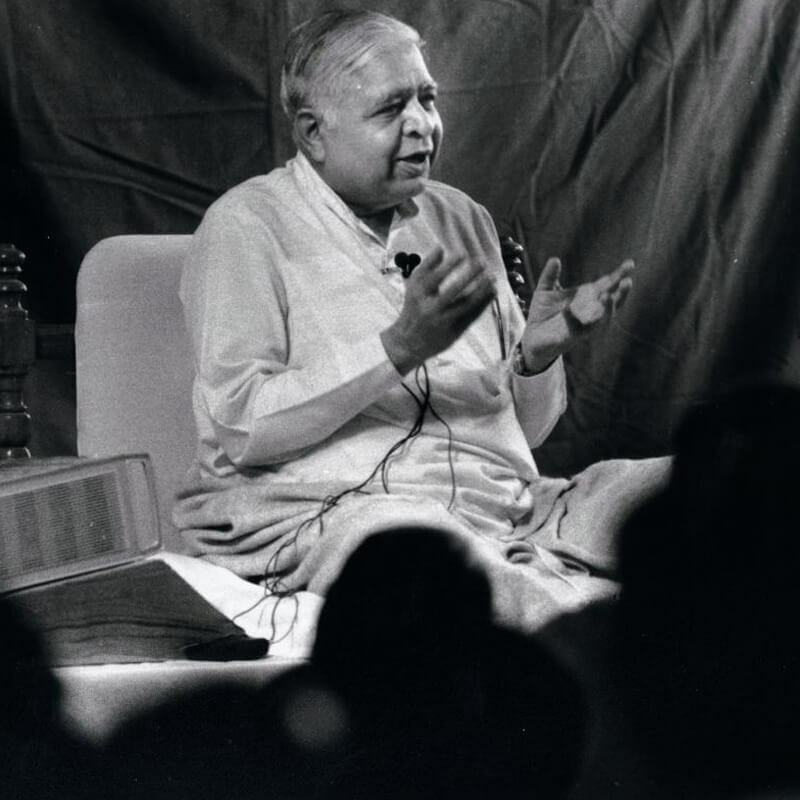 Any person following any tradition will accept that leading a life of good conduct is wholesome, that concentrating the mind and gaining mastery over it is wholesome, and that learning a technique that purifies the mind completely is wholesome. Such a Dhamma will be universally acceptable. Dhamma is universal. Let a person call himself or herself by any name, it makes no difference. Let the person at least follow sīla, practicesamādhi, develop paññā. Then only is such a person a truly Dhammic person. By practicing Dhamma, a Hindu becomes a good Hindu; a Buddhist becomes a good Buddhist; a Jain becomes a good Jain; a Christian becomes a good Christian; a Muslim becomes a good Muslim; a Parsi becomes a good Parsi; a Jew becomes a good Jew. One becomes a good human being. Dhamma makes us good human beings. It does not make a difference by what name one calls oneself. What is in a name after all? Dhamma should become a part of our lives. Sīla, samādhi, paññā should become a part of our lives. These three sīla, samādhi, paññā were described in great detail in the language of those days, and a person walking on the path of sīla, samādhi, and paññā was called "Ariyo" which meant noble: and the path was called "Aṭṭhaṅgiko maggo" which meant the Eightfold path. "Ariyo aṭṭhaṅgiko maggo" means the Noble Eightfold Path. Who is an ariya? 2500 years is a long period and in 2500 years, the language changes, words change, the meanings of words change. Today, the word ariya has become a general term denoting the race of a person. In those days it was not a word denoting the race of a person, it was a qualitative word denoting qualities of a person. Who was called an ariya? One was called an ariya if he had become a saint, if he had totally purified his mind, if he had become pure of heart, a noble-hearted person. Walking on the path of Dhamma, he establishes himself insīla, samādhi, paññā so that the mind becomes totally pure and his life is filled with Dhamma. Such a person can never commit a wrong deed. He cannot do any such deed that will disturb the peace and harmony of others or cause harm to others. Whatever he does will be for his own good and for the good of others. He will do only good work, wholesome work. Such a person will be called a noble person, an ariya. But today ariya is taken as a general term denoting race. So an Aryan is said to be one who is tall, of fair complexion, has a long nose, big eyes. If someone is dark in colour, has curly hair and thick lips, he is referred to as belonging to the African race. If someone has a yellow skin, small eyes, a flat nose, he is called a Mongolian. In the language of those days it had nothing to do with the race of a person. If a person was of fair colour or of dark colour, if he had a long or a flat nose, if he had big or small eyes, it made no difference. "Hīno gammo putthujjaniko anariyo anatthasaṃhito"
"Anatthasaṃhito" - he is accumulating nothing but sin for himself. Not only is he accumulating sin for himself but also generating misery for others. Such a person was called "anariyo" in those days. This word, "anariyo", because the language changed over this period of 2500 years, became "anāri", a foolish person in today’s Hindi language. He is definitely a foolish person. He who causes harm to himself as well as to others is certainly a foolish person. He who disturbs his own peace and harmony as well as the peace and harmony of others has not understood anything and is therefore a foolish person. If he does not continue to remain foolish, but develops wisdom by walking on the path of Dhamma, he will attain happiness and will also contribute to the happiness of others. He starts generating peace and harmony for himself as well as for those around him and therefore he has started to walk on the path leading to nobility. This path that makes every person who walks on it a noble-hearted person was therefore called the Noble Path, the Noble Dhamma. This Eightfold path is divided into three sections: sīla, samādhi, and paññā. Three parts of the Noble Eightfold Path are within the division of sīla: sammā-vācā, sammā- kammanto, and sammā-ājīvo. Sammā-vācā means right speech, purity of vocal action. What is right speech? The speech that is correct, truthful, beneficial, and has been applied by oneself. One has read in books, one has heard from a teacher that Dhamma is very beneficial, but has Dhamma actually become a part of one’s daily life? If not, then it is of no use. The benefit of Dhamma should be directly experienced in one’s life. So the speech should be proper and it should also become a part of life. Only then is it right speech. What is right speech? This is the speech that does not cause harm to others, does not disturb the peace and harmony of others. There is no other yardstick. One will not deceive anyone by speaking lies. One will not speak bitter words and hurt others. One will not criticise others or speak words of backbiting. One will not carry tales that set friends to quarrel. That is all. Abstaining from all such impure speech leaves nothing but right speech, nothing but pure speech. One should keep examining oneself, "Is right speech becoming a part of my life? Am I practicing right speech?" Only then is it right speech. Otherwise it again becomes the futile talk drawn from some book or some teacher. Until it becomes a part of one’s life, one does not gain from it. Therefore sammā-vācā should be actual right speech. Sammā-kammanto means right action, purity of physical action. What is right action? Every action arises in the mind first and proceeding further, becomes a vocal action. When it proceeds still further, it manifests itself as a physical action. This end-point of action, the physical action, was called kamma (karma). This should also be right, correct, perfected. It should not cause harm to others, disturb the peace and harmony of others, or cause unhappiness to others. One should make right action a part of one’s life, by abstaining from killing, from stealing, from sexual misconduct, from taking any kind of intoxicant. If it is known from experience that one does not perform such actions at all, then it is right action. One has started applying it in one’s life. Therefore this is right action. Sammā-ājivo means right livelihood. One must have a proper way of supporting oneself. A householder must have some occupation. One manages to get food and clothing for one’s needs from some place or the other. But how is it obtained? Is it obtained by some fraudulent way, by cheating someone? Not only those who are householders but even those who have given up the household life should analyse their occupation "What is my occupation? What is the way by which I am bringing wealth into my house? What is the work or business through which I am making wealth? Is it right? Is it harming others in any way? Is it disturbing the peace and harmony of others or making them unhappy in any way? Am I doing anything that is encouraging people to live an immoral life." If so, such a livelihood should be given up. One may deceive oneself "I am not killing any living being." It may be true, but what occupation is one engaged in? What is the means of livelihood? Is it dealing in guns smuggling of AK-47s from some place and selling them to terrorists and deluding oneself, "Oh, they are doing the killing, I am not." Someone sells weapons, guns and bullets and yet thinks that one is very saintly. Oh no! That livelihood is a wrong one, one that is hindering people from leading a life of good conduct. Such a livelihood is helping them in breaking their sīla. Such an occupation is a wrong occupation. Someone says that he does not kill any animal. But he rears cattle, sheep and goats, feeds them well so that they are fattened and sells them to the butcher. He gets good money for them, and says, "Now it is up to the butcher. If the butcher kills the cattle, what can I do?" How can this be a good livelihood? A certain person says that he does not take any intoxicant but sells intoxicants, alcohol, and other drugs like opium and marijuana. Whoever takes it from him breaks his sīla. Then is it not a wrong livelihood? Someone sells poison and makes a living. Whoever purchases it kills someone with it. So one should examine oneself to see if one’s livelihood is encouraging people to break the precepts. If that is so, that occupation is not the right occupation at all. Even in the highest profession, it is very important to know the volition of the person who is engaged in it. If his mental volition is not good, however good the occupation may be, it will not be the right one if it is not accompanied by a good volition. What is the mental volition behind the source of livelihood? That is very important. There was an incident in my life that took place about forty to forty-five years ago, before I heard about pure Dhamma, before I learnt the technique of Vipassana. Someone in my family fell ill. Our family doctor had gone on vacation, so I went to fetch some other doctor. I knew he was a busy man and may not come for a home visit. But it so happened that when I went to his clinic, he was sitting idle, there were no patients there. Out of idle curiosity, I asked, "Doctor, your clinic is generally crowded with patients. What is the matter, today there are no patients?" With a very sorrowful face he replied, "Usually there is some epidemic in the city in this season, this year for some reason there has been no outbreak of any epidemic." Hearing this, I was stunned and thought, "He is a doctor who is supposed to see that more and more people are healthy and yet he wishes that more and more people should fall sick. What sort of a doctor is he?" I felt very bad. 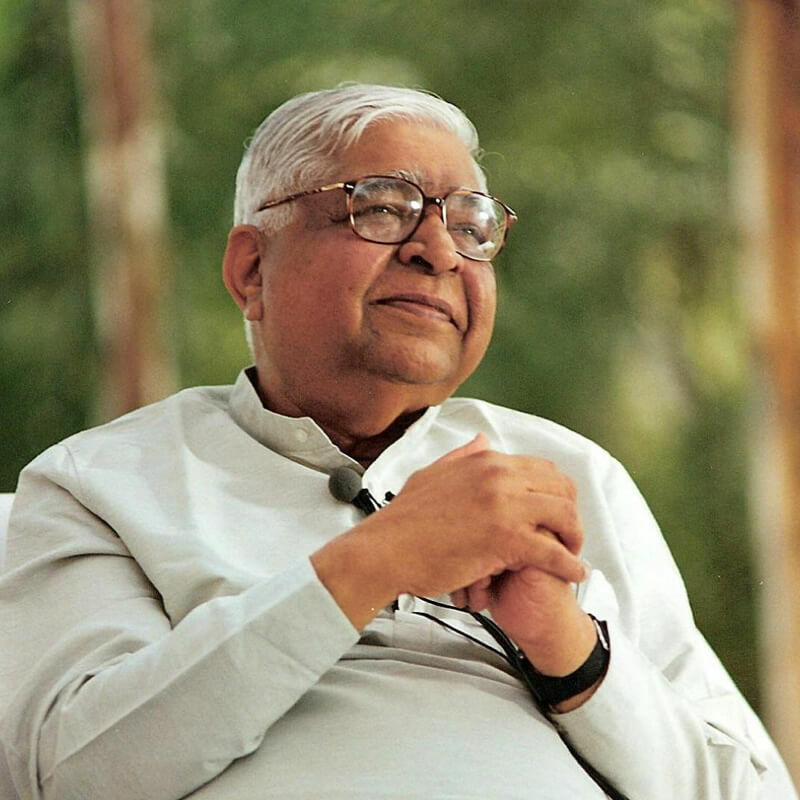 With the passage of time, I obtained this wonderful technique of Vipassana, the pure quintessence of Dhamma. Earlier I had just read some books in the name of Dhamma. Walking on the path of Dhamma was far away. I did not know what pure Dhamma meant, I had not understood Dhamma. When I actually found pure Dhamma and started looking within myself, the truth started manifesting itself. I was a businessman, born in the family of a businessman, and working as a businessman. Therefore, I can understand the mind of a businessman very well even today. If some world-war takes place, or there is a famine somewhere, and the supply of consumer items falls short resulting in their prices going up, and soaring high, the businessmen, in their business language, say, "The market is improving". For them, the market is improving. The people are facing difficulty, they are not concerned about it. They think, "I am earning a lot of money. Therefore the market is improving." When the war is over, there is no famine, there is a good harvest; everything is available in plenty, and the prices of consumer goods go down, the businessman in a very sorrowful voice says, "The market has gone down." This is the mentality of some businessmen. It is not wrong to do business. Every consumer cannot go to buy his requirements from the producer. To deliver the goods from the producer to the consumer is the job of the businessman. For this effort he takes his due share of profit. This is also not wrong. But the mentality, the volition of mind is most important. This is the yardstick by which it is measured whether one is practising sīlawhile earning one’s livelihood or not. At the surface level, one’s livelihood, one’s profession is proper, but one is not making the right use of it. One is doing it in the wrong manner, so it becomes impure. Instead of becoming moral, one becomes immoral. In this way, one must keep examining oneself, at every step, one must keep analyzing oneself. Since 1969, this technique of Vipassana meditation that was lost from India for the past 2500 years came back to India. Courses started being held all over India. The Ganges of the Dhamma once again began flowing in the country of its origin. 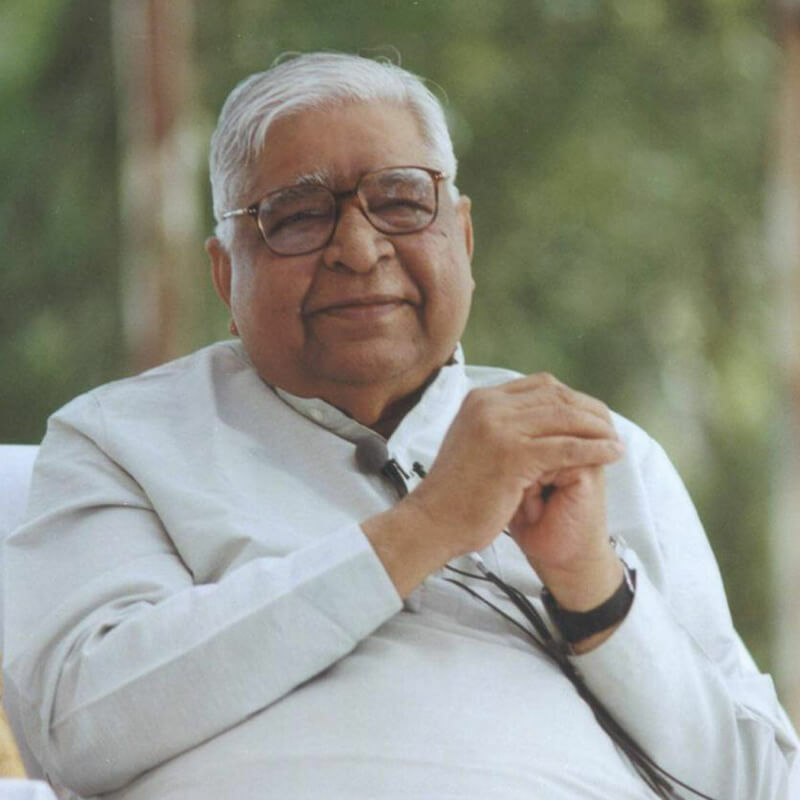 People from all ranks, from all professions, from all communities, from all sects come to take Vipassana courses. They should certainly come. It is, after all, the Ganges of Dhamma. Whosoever comes, his thirst is quenched. The Ganges of Dhamma does not see whether the person who is drinking her water calls himself by this name or that name; belongs to this sect or that sect. Whosoever drinks it, his thirst is quenched. So people come. People from the business class also come and tell their problems to me. "What can we do, this is the situation faced by the entire country, this is the state of the government regulations. You say that we must carry on business honestly. but what can we do? Everywhere there is corruption; how can we be honest?" I also see that the country is facing a very bad situation. The business class is corrupt. The officials governing the country are corrupt. The leaders of the nation are also corrupt. Not all, but most of them are corrupt, so what can be done? I explain to these business people, "You can at least do this much, in spite of so much corruption, just understand that your income comes from the pocket of your consumers. Therefore your consumer is your Lord who gives you your bread and butter. Therefore, even by mistake, do not cheat your Lord. Whatever product you give him, do not cheat him in its quality, quantity, measurement or weight. Do not give any adulterated product to anyone. This much you can do, can’t you?" At least practise Dhamma to this extent. At least walk one step on the path of Dhamma. And then, you may earn wealth. Earning wealth is not bad. A householder should not beg money from others. Just as it is wrong for a recluse to accumulate money, it is wrong for a householder to become a pauper. By his effort, he should earn wealth honestly. But when wealth comes, ego naturally develops. "Look, I have earned this wealth, I am so capable!” Thus ego develops and one goes far away from liberation. To get rid of this ego, one should part with a portion of one’s excess wealth. If one is earning more, one should return a larger amount to society; if one is earning less one should return a smaller amount to society. In the ancient language, it was known as the duty of sharing a portion of one’s earnings with others. So if a householder learns these two things, he has started practicing sammā-ājīvo. He will keep progressing. If all these three: sammā-vācā,sammā-kammanto, and sammā-ājīvo are present, one understands that the first division of the Noble Eightfold Path, the division of sīla, is becoming stronger and stronger. As one proceeds further, one also strengthens the other two divisions of the Noble Eightfold Path and obtains its benefits, ample benefits. One who walks on the path of pure Dhamma, will certainly live a life full of happiness, full of peace, full of liberation.